Here's a page of links to manufacturers and makers' websites. I'll be adding to the list from time to time. Bourgeois Guitars Dana Bourgeois is a well-known luthier who heads a small guitar shop, Pantheon Guitars, in Lewiston, Maine. He formerly built guitars for Martin and Schoenberg. He makes very high quality traditionally-styled acoustic guitars that are very popular in bluegrass and other acoustic music circles. His guitars are played by many professional guitarists, including Ricky Skaggs, Bryan Sutton, Dan Tyminski, Ron Block, Keith Sewell and Sean Watkins. Brook Guitars Hand-made in England's West Country and named after local rivers. A full range is available, but they're probably best known for their small-body acoustics. Very competitively priced, but you'll have to wait over a year for one. Nice website. Collings Guitars Gorgeous website, if a little sparse on the info. Wonderful guitars - based on traditional American designs. These designs have become true classics by withstanding the test of time. Collings seek to continue this legacy of tradition, quality and style by building the finest acoustic instruments possible. A small range of high-end electrics is also produced. Fender Musical Instrument Company Probably the most written about, collected - oh yes, and played - electric guitars. Goodall Guitars James Goodall is based in Kailua-Kona, Hawaii. His unique body shapes and bracing patterns result in high-end instruments which sound and look distinctive. Koa wood, which is indigenous to the Hawaiian islands, is a feature of many models, often for bindings when not used for back and sides. Gretsch Musical Instruments Distinctive guitars - now back under family ownership. Huss and Dalton Another highly regarded guitar company, based in Staunton, Virginia, which recently celebrated its 10th anniversary. Their guitars are based on classic acoustic designs such as the dreadnought and OM, and a range of banjos has recently been introduced. Jean Larrivee Guitars Jean Larrivee built his first steel string guitar in 1971, and quickly became known for his handcrafted custom models, often featuring dramatic inlay work. 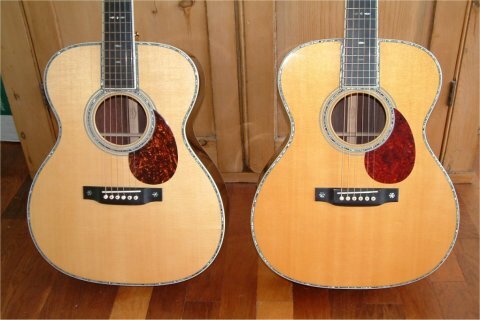 Production volumes increased with the renewed growth of acoustic guitar sales in the 1990s, and in 1997 the D-03 was introduced. 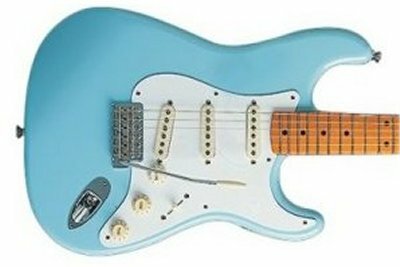 At that time it was the only all solid wood guitar for under $800, and it heralded Larrivee's arrival as a major player, with a full range of models for beginners as well as the more well-heeled! C.F. Martin & Co. Nuff said. James A. Olsen Guitars One of the best regarded of the small shop makers. Clever website. Good pictures of the production process as well as examples of Jim Olsen's work. PRS Guitars Distinctive and well-regarded guitars which range from the reasonably priced to the stratospheric. 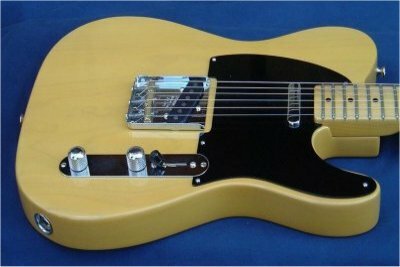 Check out the Private Stock gallery. Rickenbacker Classic guitars and basses. 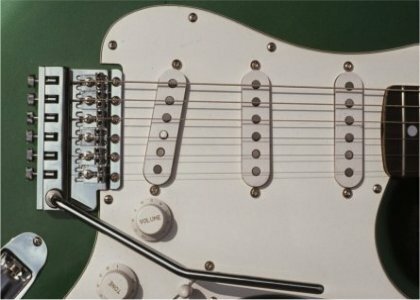 Informative website with nice pics of guitar construction processes. Santa Cruz Guitar Company Richard Hoover began building guitars and carved-top mandolins in 1972. Santa Cruz was one of the first companies to seek to replicate the great acoustic guitars of the 1930s. His handmade custom acoustic guitars are played by some of the world's best players, including Eric Clapton, Doc Watson, Tony Rice, Warren Haynes, Elvis Costello, and many others. Taylor Guitars A relative newcomer, founded by Bob Taylor in 1974. Taylor has demonstrated that modern factory production methods may be used to enhance quality rather than the opposite. Best known for their acoustics, Taylor have recently followed Collings' example and produced a range of high-end electrics.